My best nine posts on Instagram this year are mainly knitting. No surprise there then. From left to right, top row: Outlander shawl knitted several years ago and finally blocked, new design Colifichet, new design Wrap of Ages. Middle row: garter stitch wrap using oddments of sock yarn held double, Outlander blocking, Wrap of Ages pattern shot. Bottom row: Frankensocks, no-knead wholemeal bread straight out of the oven, new design Random Precision, large size. I listened to a lot of audiobooks this year, partly because I've been busy doing hours and hours of sample knitting for new designs. My audiobooks of the year are Chris Ould's Faroes Trilogy, The Blood Strand, The Killing Bay and The Fire Pit. Matt Addis gets a special mention for his superb narration. My top two fiction choices are William Shaw's Salt Lane and John Harvey's Body & Soul - both excellent reads. 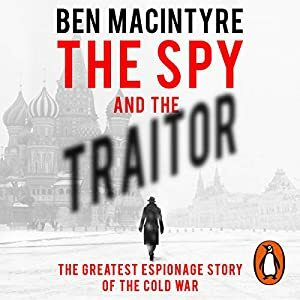 Non-fiction best-of-the-year are The Spy and the Traitor, Ben Macintyre, and Viking Britain, Thomas Williams. A knitted washcloth is a quick and easy-to-make gift. Wrap it in pretty paper with a lovely bar of soap. I have a couple of free washcloth patterns ready to download in my Ravelry Store. Easy Peasy Lemon Squeezy is an easy washcloth to knit - it's a garter stitch square knitted from corner-to-corner using simple increases and decreases to form the shape. Knit this pattern in two or more colours or use a self-striping yarn. A pure cotton or a cotton/synthetic blend yarn works best for a washcloth. Leaf Lace Washcloth has a simple lace pattern surrounded by garter stitch borders. The lace pattern has written instructions or there's a chart if you prefer to work from one. Yarn choices as above. Random Precision contains two patterns; a small cowl (green) knitted in sock yarn and a large cowl (purple) knitting in DK weight. As ever, both patterns have been tech edited and test knitted. There's a £1.00 off promotion running from tomorrow, November 15, until November 21 using the Coupon Code FLOYD. Knitting: new design samples for mitten patterns. Baking: no-knead wholemeal bread; recipe and method from The Quince Tree. I've been making three loaves at a time and freezing them; I haven't eaten bought bread at home for a couple of months. Eating: 'tis the weather for making and eating homemade soup. A stewpack of veg for £1 makes a fair amount of soup. Drinking: New York Breakfast and Ginger Spice teas from T2. Music: mainly Daily Mixes and my own playlists on Spotify. I listen to a lot of audiobooks; they're perfect listening while I work. I have an Audible subscription and also download audiobooks from Brighton & Hove Libraries free BorrowBox service. There's list of this year's books (including physical books, e-books and audiobooks) on Pinterest. This audiobook is my best non-fiction listen so far this year; it's an incredible story that sounds like a good spy novel but it's all true. I'm working on some new designs for fingerless mittens. I've swatched for this design several times already and I'm finally happy with how the stitch pattern, needle size and yarn work together. The yarn is Drops Baby Merino; a lovely soft sport weight yarn. I'm surprised how good the stitch definition is. More soon!